Yesterday Saturday sunlight beamed on reds through our kitchen window. 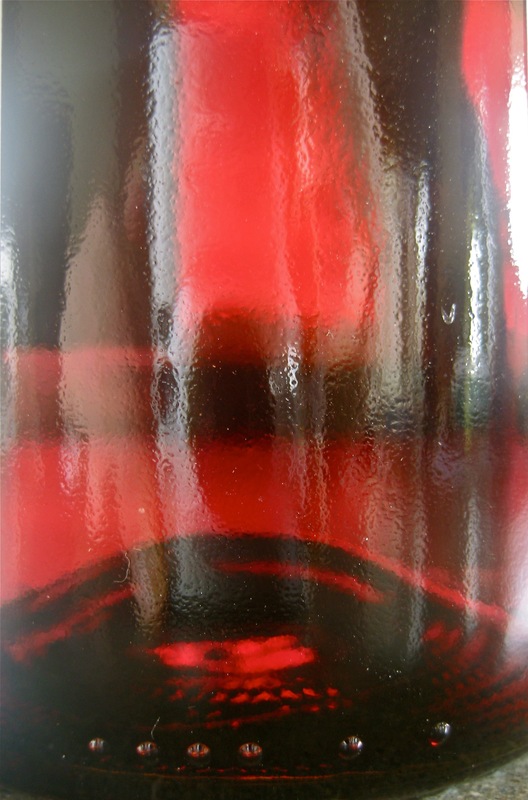 I was entranced by the scarlet hue as light filtered into a bottle of French red wine. I’ve also been enamored with the bloom brought in by The Bohemian from our ‘autograph tree’. Its white petals browned and dropped within a day and then this rosey fan of color emerged. 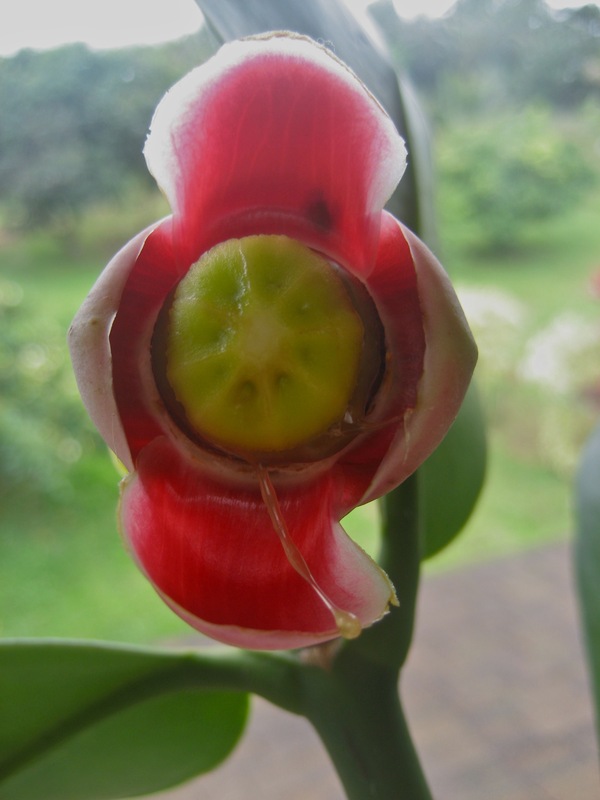 The tree’s scientific name is Clusia rosea and I’ve since learned that the flower has no male reproductive parts. Apparently, in some species the ring around the center has sacs containing pollen. Not sure if this is the case with this variety, but this photo captures some kind of sticky nectar, mid-fall.